South Florida Roofing is so varied. Do You know how many Roof Types / Styles there are in Miami and all of South Florida? We work with them All ! 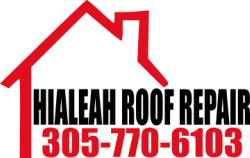 Hialeah Roof Repair is well versed in every area of Roofing. Our experience in the field is unmatched by the competitor because we are the Local Choice for affordable, reliable, knowledgeable service. We answer the phone when you call and we are the people who get the job done. Trust us to know exactly what you need and to provide that to you.